Home / Passionate Cream Colored Designer Party Wear Chiffon Saree. Passionate Cream Colored Designer Party Wear Chiffon Saree. Illuminate amongst everyone in this cream colored designer party wear chiffon saree. 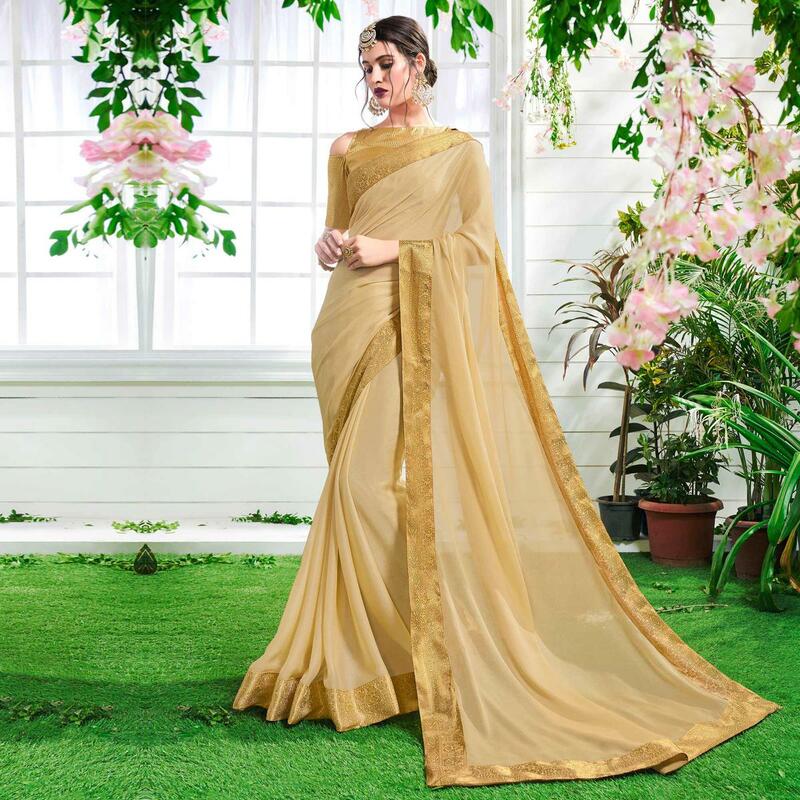 The simplicity of this pure chiffon saree with gold border in contrast to the cream base is remarkable. 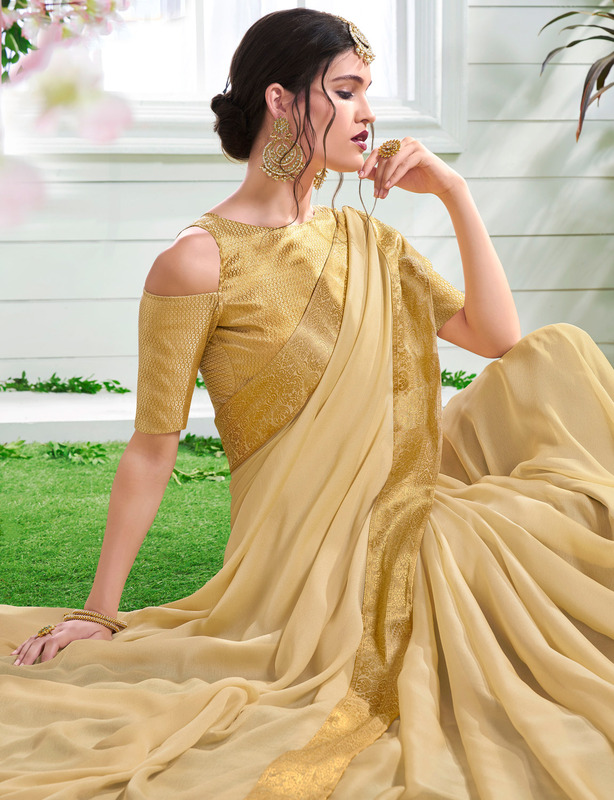 The contrast colors of gold and beige in the saree makes this piece a golden goddess one.The outfit is perfect for the traditional looks which have more edge to them. The saree comes along with an un-stitched brocade blouse in golden color which can be stitched according to your style preference. You can wear this at weddings, receptions,family functions or on festivals. Pair it with beautiful gold jewellery and heels and your look is perfect for the events.